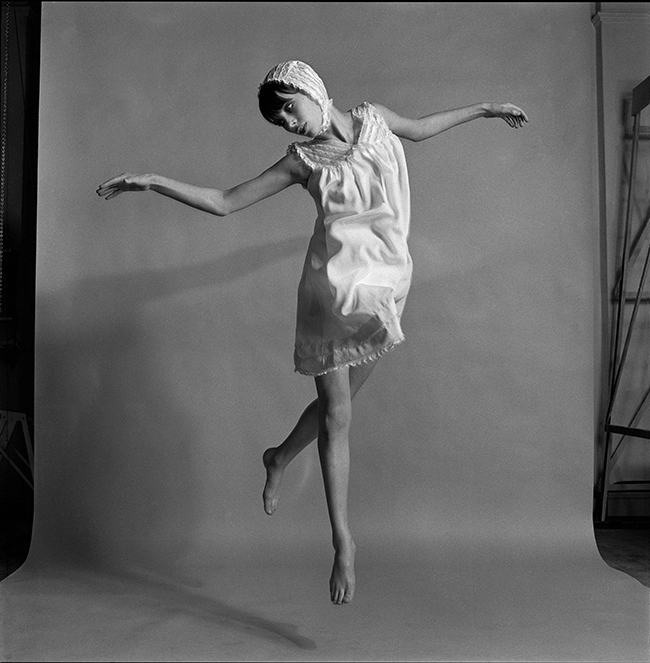 Photo by Duffy of the actress and singer Jane Birkin jumping at the beginning of her career. Shot in Duffy’s London studio for Queen magazine (later to become Harpers & Queen). Shortly after this photo was taken she appeared in the cult movie ‘Blow Up’ and ‘Wonderwall’. Quote ref: Z_0524_04 if you require press information regarding this image.